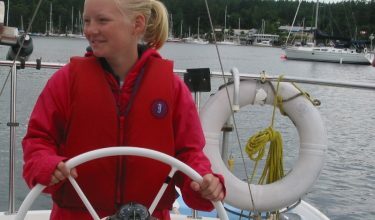 Why learn to sail in Vancouver? 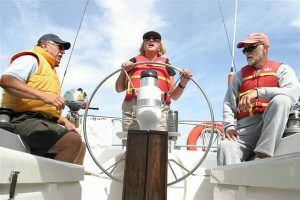 If you have made a resolution to learn how to sail this year, then why not learn to sail in Vancouver with us here at Nanaimo Yacht Charters? By learning to sail here you will experience the beauty of Vancouver Island and British Columbia from a completely different vantage point i.e the water! You will learn the wonderful freedom and fun of learning to sail a yacht, plus learning completely new skills and gaining a certificate at the end which is recognized worldwide. 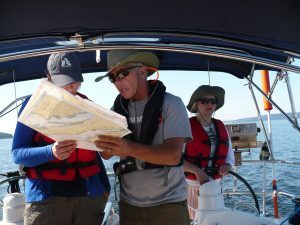 The inshore waters around Vancouver Island provide an excellent sailing ground for experienced sailors, certified skippers or complete beginners wanting to learn the basics of sailing. It is a prime location for all sailors as it offers superb marine landscapes and plenty of sheltered inland waterways, and the rugged open ocean on the west coast is perfect for advanced sailors to gain experience and top up their skills. One of the most popular boating destinations is the Gulf Islands which provides beginners with a fabulous sailing opportunity with safe anchorages, charming little towns to visit and picturesque bays. There are also so many numerous activities to do on Vancouver Island, such as whale watching, fishing and exploring the many beaches and coves that it really is an amazing destination to learn to sail in. We start at the very beginning and teach a complete novice sailor to learn at their own pace, how to become first competent crew, then skippers and navigators on their very own yachts. You will also have proper certification proving you have achieved various levels of certification from qualified registered instructors. Familiarization with the yacht and the on board systems. Sailing safety and emergency drills. Remember to bring lots of layers as it can be cooler on the water, it is easier to keep warm by layering up with lots of thin layers and a waterproof shell as your top layer. Waterproof layers, raincoat and trousers, it is harder to get warm if you get wet, so stay dry! Sailing gloves are a good investment and will definitely be kinder to your hands! Sun glasses and Hat – ideal for keeping warm in the cooler weather and a sun hat for the warmer weather to protect against sunstroke. Boat or deck shoes are a good idea too, with non marking soles.